Maokong is an important place of producing tea in Taipei, in the past, people must transport the rice and tea downhill by foot, need to develop the crisscross tails and stairs around the mountain by walk, including the current Tea Road Trail, Dragon trail, ZhiNan trail Maokong crossing trail and the Galaxy cave trail, these are old trails to transport of agricultural products in the past, owing to historical meaning, it is recommended by the locals resident to develop these trails for tour, then renovation by the Geotechnical Engineering Office, for everyone to visit. Beside the roads to transport of tea, there are some baojia road which the local roads links between the villages, now we developed into hiking trails as well, camphor trail is designed with rural views and nostalgic meaning. 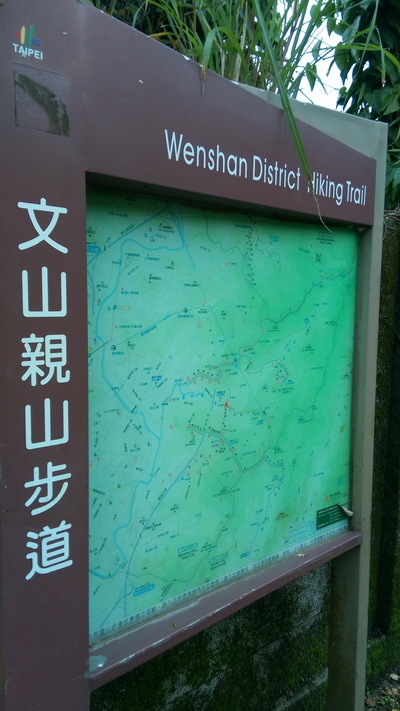 In the past, the Zhanghu trail is an important ancient road, to connect Maokong, Dai Lao pit and A-Chuan pit (now re-name Lao Chuan borough), Galaxy Cave and other places, this trail is almost parallel to the major roads, linking Maokong to increase the economic prosperity, as well retain the forest views. The current tea scented loop trail is developed from initial one, potholes trail is leading to Maokong important geological landscape - potholes, the health trail beside the existing road, Mr. Zhang, ZiShan, the owner of ZiShan tea plantation, he donated some area of his land and disposed boardwalk for visitors to walk, the Little Skywalk is designed for separation of people and vehicle.